When the people who make policy at the local, state, and federal level don’t resemble the people whose lives are directly affected, they risk being neither fair nor effective. The Citizens League Capitol Pathways program’s long-term ambition is to make government more representative of Minnesota’s true, multiethnic identity for the betterment of all. Now in its third year, the program has placed 93 college students from a multitude of cultural and racial backgrounds in internships with government offices, nonprofits, law firms, and lobbying groups. The young people experience real politics in the moment, build invaluable relationships, and develop skills that will help them shape careers in public policy. In return, these hardworking junior staffers bring perspectives and ideas to the table that are too often underrepresented or untapped by their host or host organization on a day-to-day basis. One morning, Robert Harper was cruising through the capitol building on his way to a lunch meeting with his Capitol Pathways host, lobbyist Cap O’Rourke. In a building where gray is the most common hair color, the fact that the 24-year-old stood out for his age was not surprising. Unfortunately, the African American man also turned heads for something that, in an ideal world, would and should go unnoticed. Harper graduated with a degree in sociology and considered law school or corporate work. After his Capitol Pathways experience, though, he couldn’t shake his feeling that it was by working in government that he could have the most impact. Now he’s pursuing a master’s degree in public policy with an emphasis on economic development at the Humphrey School of Public Affairs. 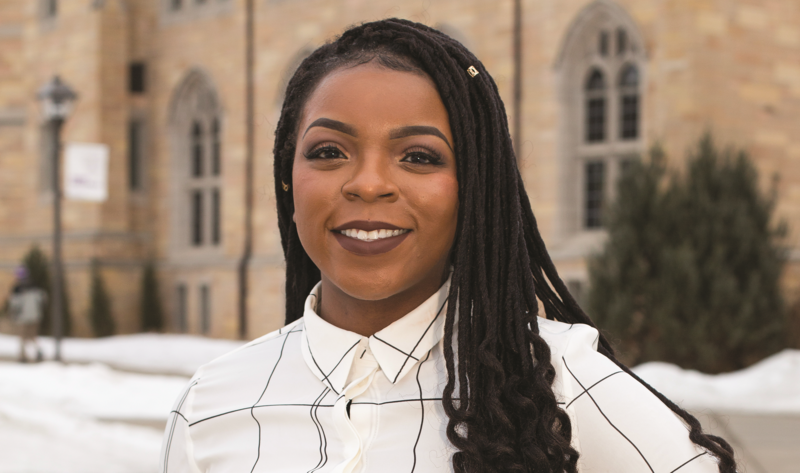 “I hope to use my degree to one day work in a policy position where I can make well-informed decisions to improve the economic well-being of marginalized communities. 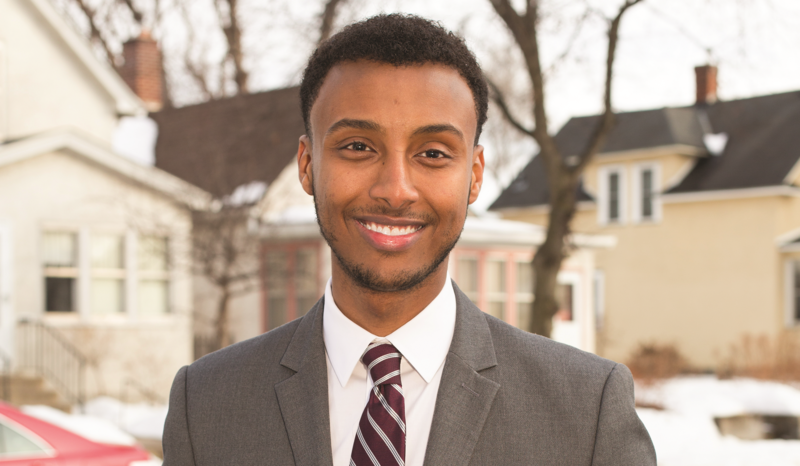 Growing up as a Somali American in the Twin Cities, Dayib also wanted to help people in his community feel more connected to the Minnesota experience. A Capitol Pathways internship helped him marry those goals. 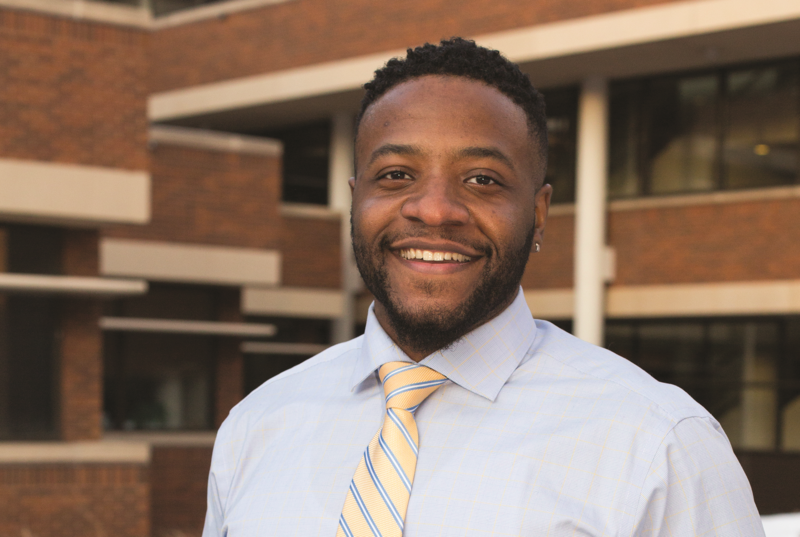 After Dayib graduated from Metropolitan State Uni­versity with an accounting degree, which pleased his fam­ily, he chose to re-enter the public sector. As a legislative coordinator for the commissioner’s office at the Minneso­ta Department of Revenue, he can link his numbers savvy with his interest in public policy, including tax policy. Good intentions aren’t always good enough. Faith Adeola has seen well-meaning legislation fall short of its mark when the people creating the policy are not the people who are affected by it. For instance, when she was a Capitol Pathways intern, she saw legislators put together an after-school activities plan for Somali youth. The problem? None of the people behind the plan were Somali. “They assumed that teens needed entertainment or activities to keep them busy after school, but that wasn’t a match for the culture or the community’s real needs. What was really needed was a jobs path for young people,” said Adeola, who communi­cated with Somali American families to learn about the community’s goals. Ulti­mately, that led to a revised version of a funding request. Adeola’s parents came to the U.S. from Nigeria as missionaries and started a church here before she was born. She has always had a strong interest in health care, and she was in the Global Health program at the University of St. Thomas when she learned about the Capitol Pathways program. Adeola realized that public-health policies could be more effective if the people creating them represented a greater number of perspectives. Capitol Pathways placed her with the law firm Fredrikson & Byron, P.A., as part of a government relations team that lobbies for issues that involve areas such as education and health care. That experience led to her current work as a health care educator with West Side Community Health Services. The next step? AMY GOETZMAN is a writer and editor. Her work—which focuses on the arts, culture, technology, and environmental issues—has appeared in MinnPost, Architecture MN, and the Star Tribune. With the long-term goal of making our government truly representative of our communities, the program opens access to the Minnesota Capitol to the next generation of leaders of color. Through this program, interns will build relationships with established Capitol leaders, gain exposure to various kinds of careers in policy, get real-world experience in career fields they would like to learn more about and build a strong professional resume in the process. Help us celebrate the successful completion of these policy internships in and around Minnesota’s Capitol for our cohort! Come to meet the students, representatives from their host organizations, and other friends of the program at this end of session celebration, and stay for our keynote speaker, Justice Anne McKeig, the first Native American to be appointed to the Minnesota Supreme Court.